In whatever situation you are going into or you are planning to take, being prepared will always give you an edge among others. 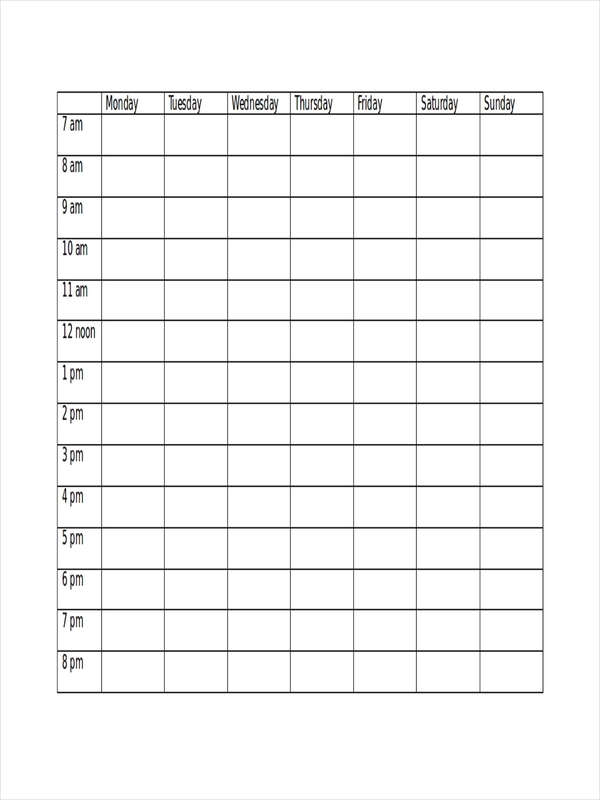 One of the things you can do to prepare is by creating a schedule. Whether it is a daily schedule or a weekly one, it would definitely help you accomplish things better. However, creating a schedule is not an easy task. Why? Because you need to consider a number of factors in order for it to go smoothly. You need to think of the people involved, the things to do, and the timetable. You also need to consider making a flexible schedule to accommodate any necessary change. What Is a Program Schedule? 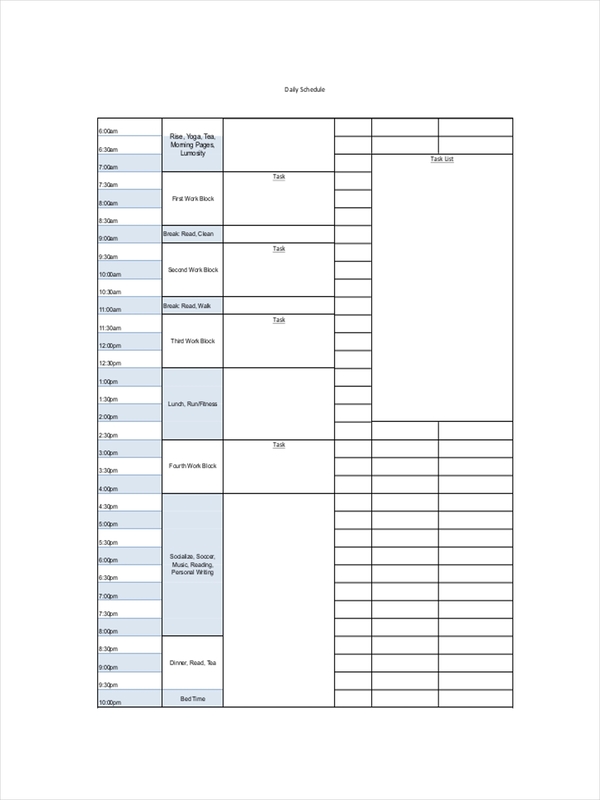 A program schedule is a written document that contains a list of planned activities with the time and order by which they are to be accomplished. The most common use of a program schedule are during school celebrations, business meetings, and even on television networks. The tasks have to be finished at a given time in order for the others in the schedule not to be overlapped. By using a program schedule, all activities could be done at a perfect timing. 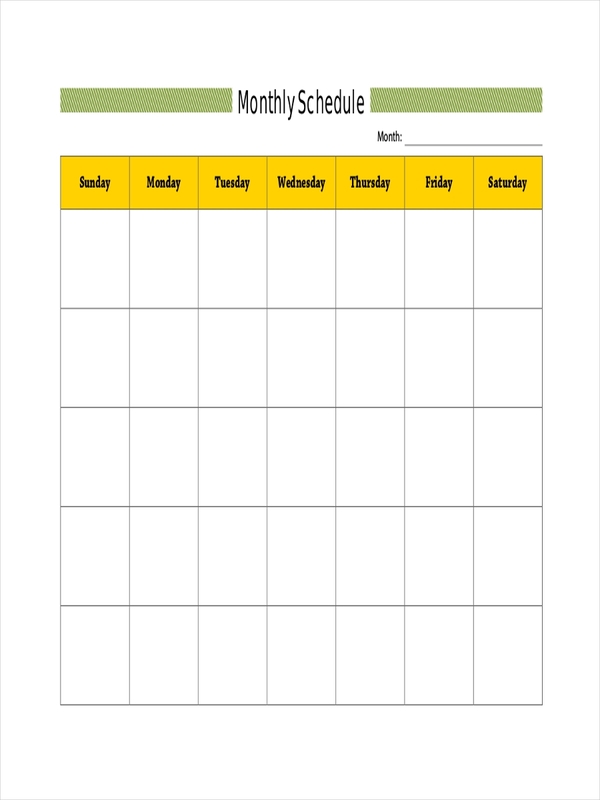 Preparing a blank schedule that can be used in any event or occasion is easy as long as you know the tricks. Moreover, you need to have proper knowledge and idea of the things that you need to include in it. Make the timetable. 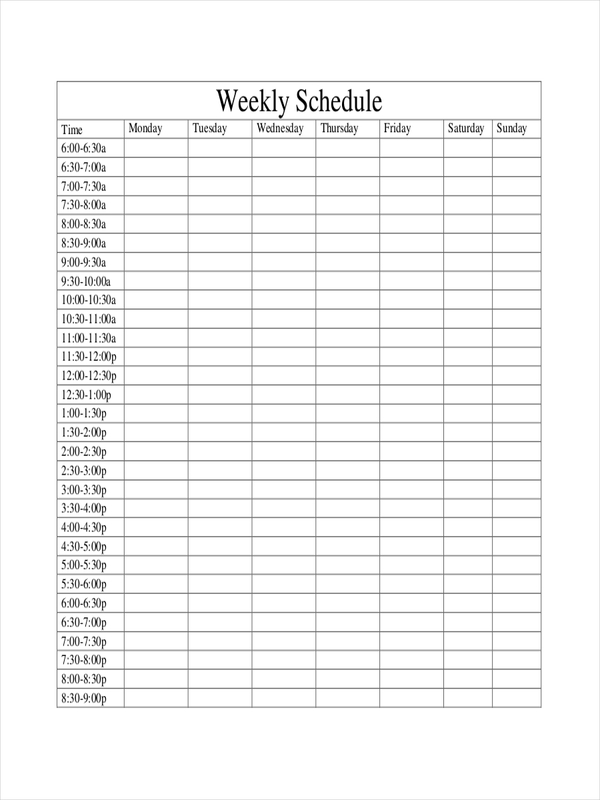 You can start by making a graph whether it is a daily, weekly, or monthly schedule. Use a calendar to server as a guide for your schedule. Create an outline. 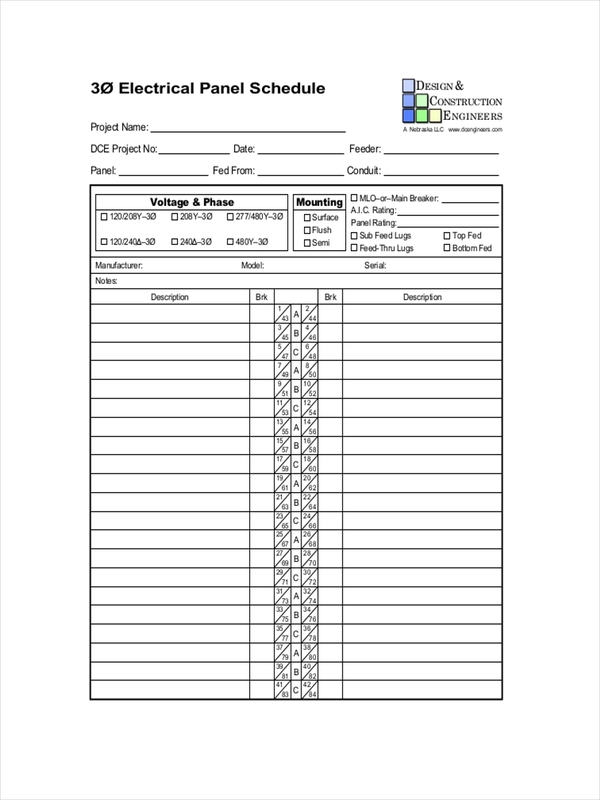 schedule example are often used for progressive activities, so make sure to create an outline on how the data should be inputted. Write the appropriate titles. Set times and dates for each activity schedule. Also, create an extra space for the tasks. If you have been browsing lately through the World Wide Web, you may have read or seen schedule examples in PDF or other formats. They all come in different styles and forms but there are also some that are blank. The reason for this is that anyone can use them at any given occasion or event. 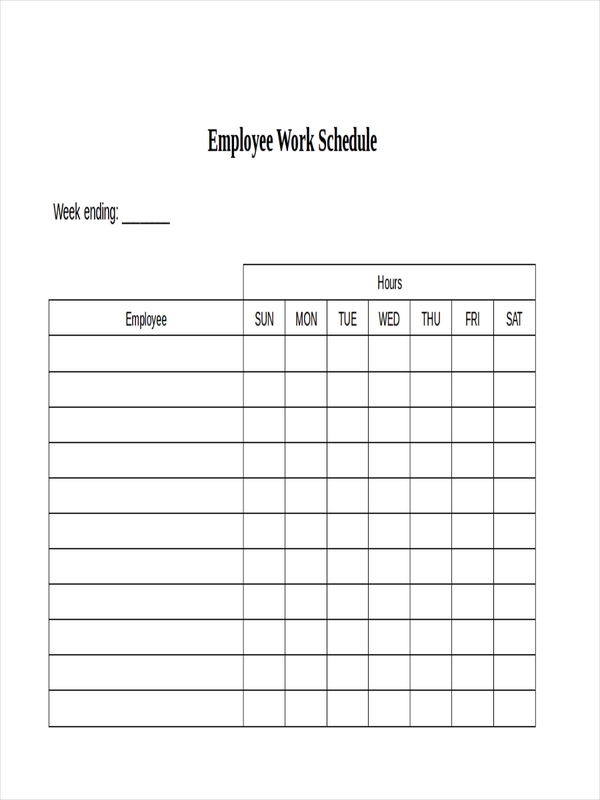 While there are many types of schedules like work schedule and school schedule, blank schedules could fit into any field. It’s like the jack of all trades except with a definite purpose. 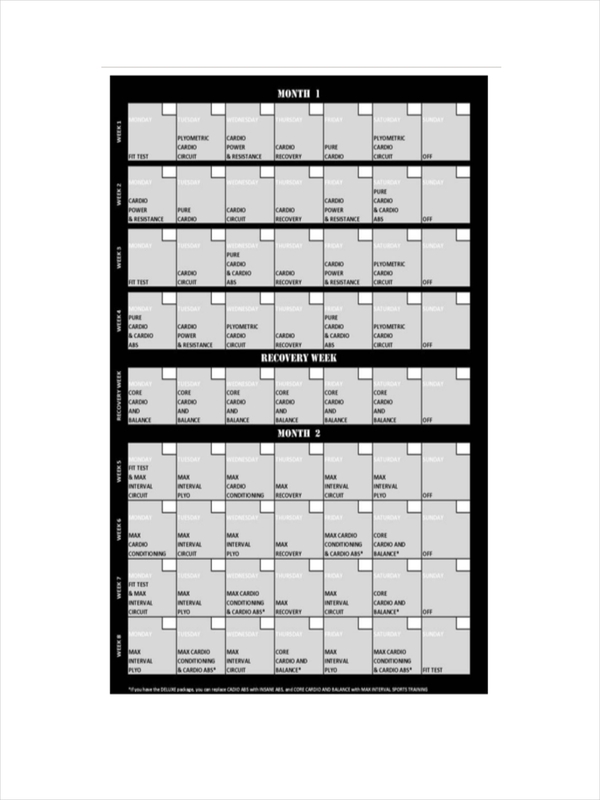 The main purpose of blank schedules is for anyone to recreate and reorganize it to the way that it would fit into their desired subject. Take for example a fitness program. An instructor could use different ways to incorporate a program depending on the capacity of the person. Their duration for the program could vary. Some might just need it for a week while some others might spend a month. So, a blank schedule could accommodate any of these students program plan. All the instructor needs to do is to supply the necessary data into it and plan each activity according to how he/she thinks fit for the student.